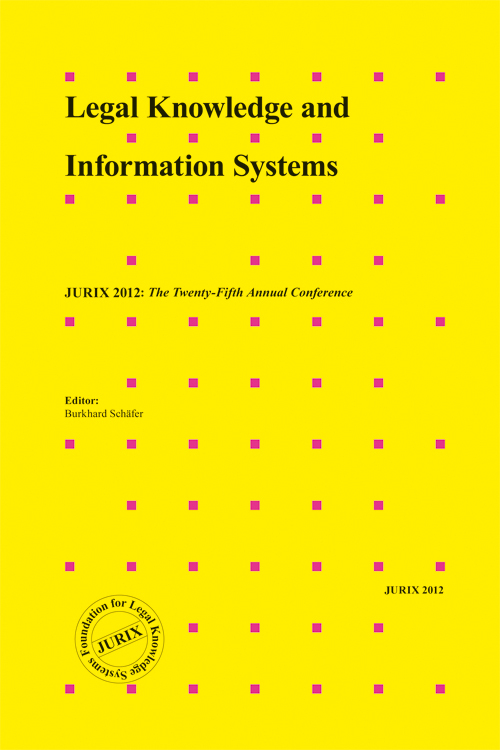 The 25th edition of the JURIX conference was held in the Netherlands from the 17th till the 19th of December and was hosted by the University of Amsterdam. This year submissions came from 25 countries covering Europe, the Americas, Asia and Australia. These proceedings contain sixteen full and five short papers that were selected for presentation. As usual they cover a wide range of topics. The majority of contributions deals with formal or computational models of legal argumentation and reasoning: questions of coherence, evidential reasoning, visualisation of argumentation and formal representations of legal narratives are amongst other issues addressed. Another group of papers is centred on representing the semantics of sources of law, to facilitate legislative drafting, information retrieval or “data protection by design”. A third group of papers goes beyond the more technical aspects of legal information systems and asks fundamental questions about the nature of legal expert systems or the concept of rights.